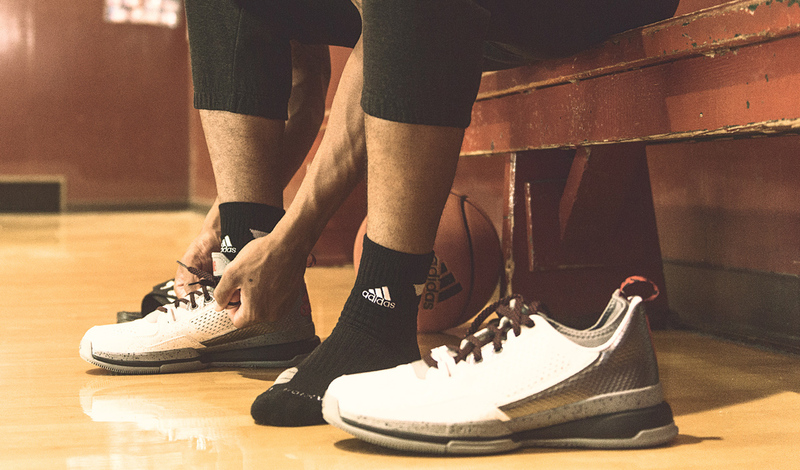 The NBA season is drawing ever closer, which means sneaker brands are gearing up with shoes for their endorsers to show off on-court. 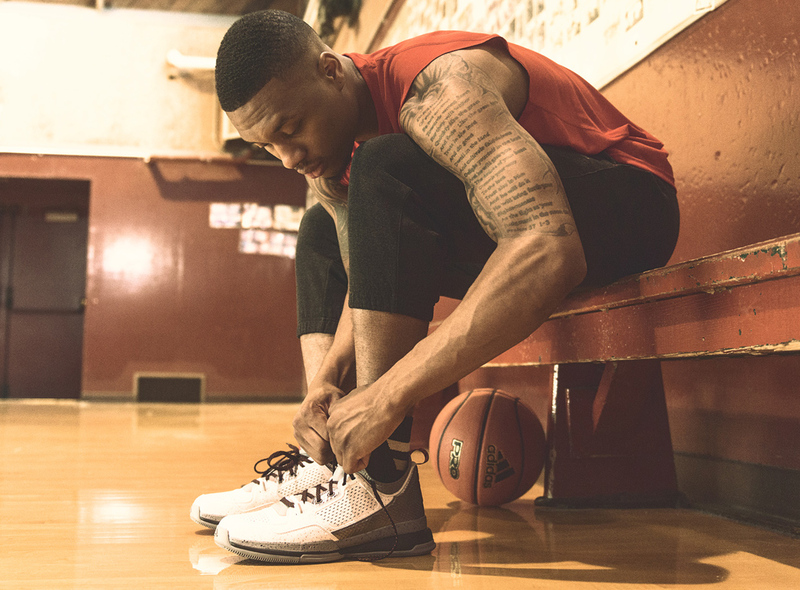 One of the more important NBA athletes for adidas is Damian Lillard, who will take to the hardwood in these two Blazers flavors of his first signature shoe, the adidas D Lillard 1. 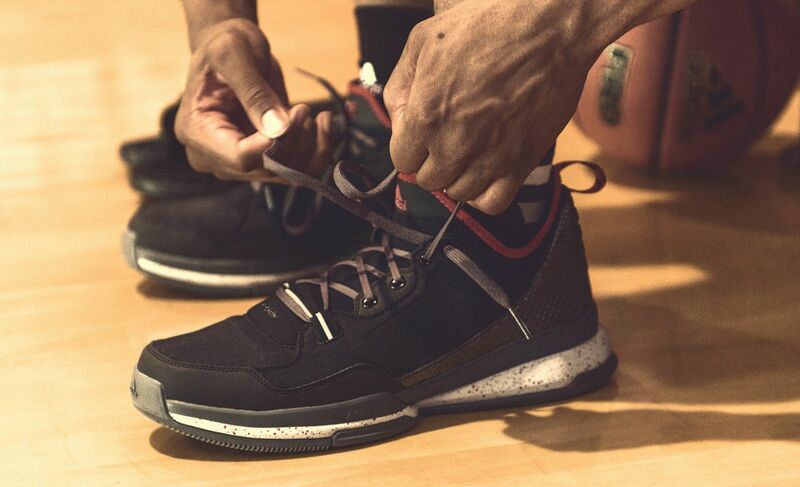 The sneakers manage to separate themselves from the multitude of white/black/red pairs out there by mixing in speckling and reflective materials. 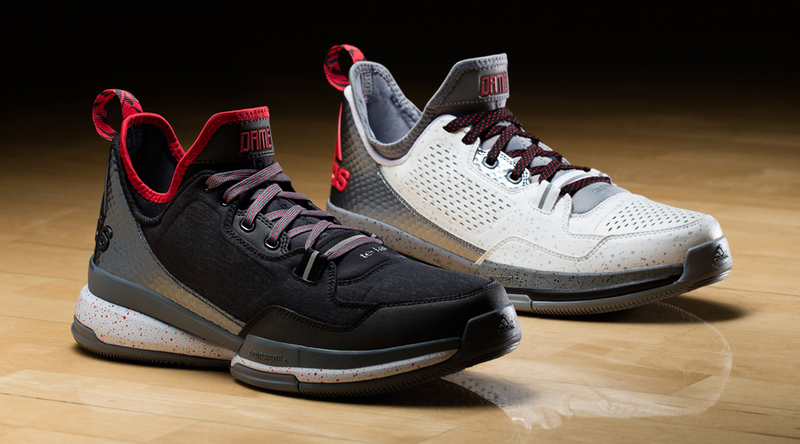 These won't be exclusive to Lillard – both will arrive at retail in the coming weeks. 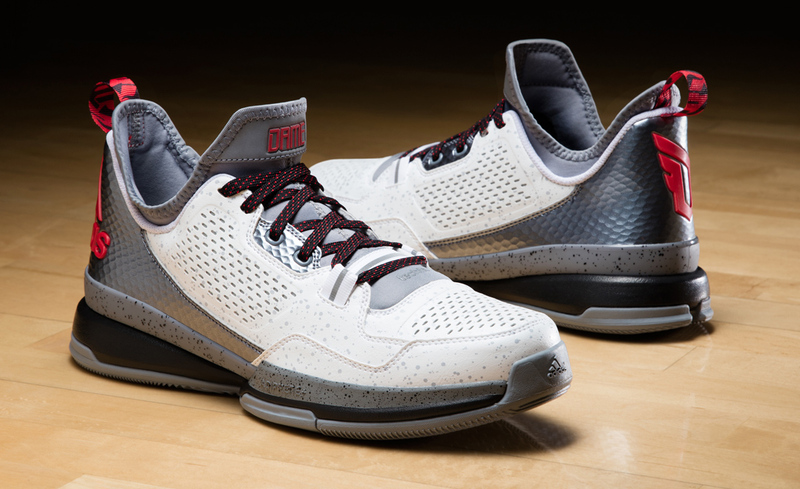 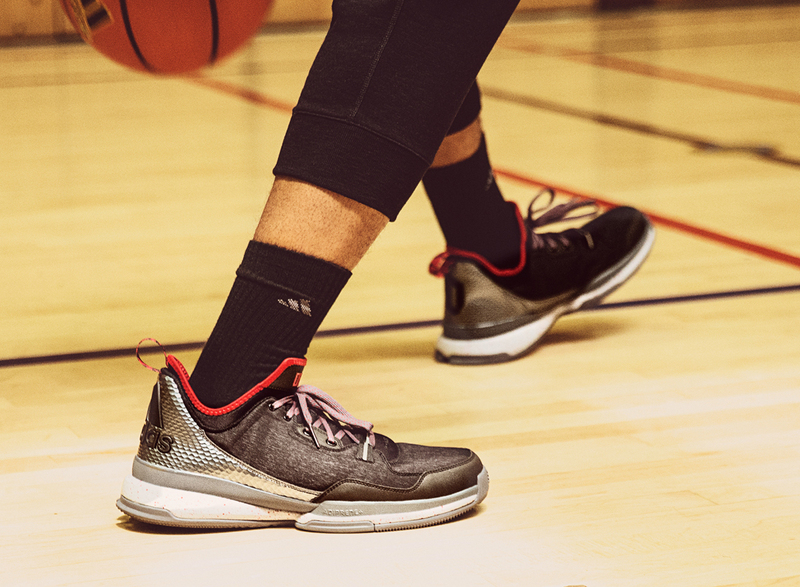 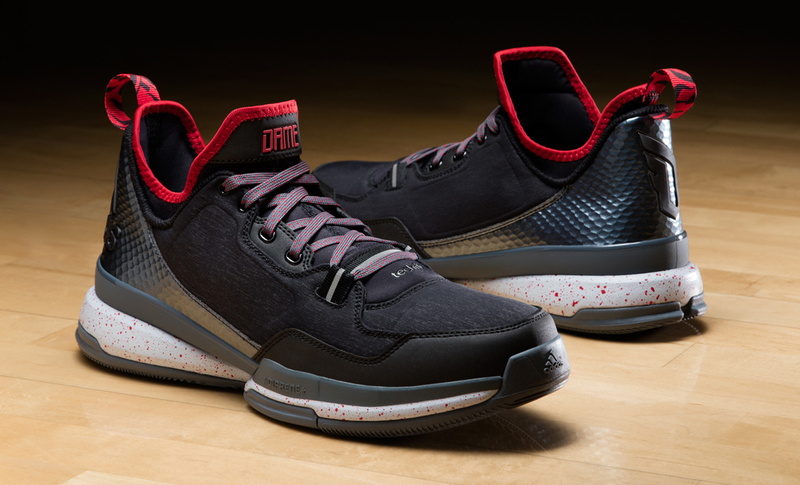 The adidas D Lillard 1 "Rip City" will release on Oct. 23, with the "Away" pair set to release on Nov. 13.
adidas D Lillard 1 "Away"